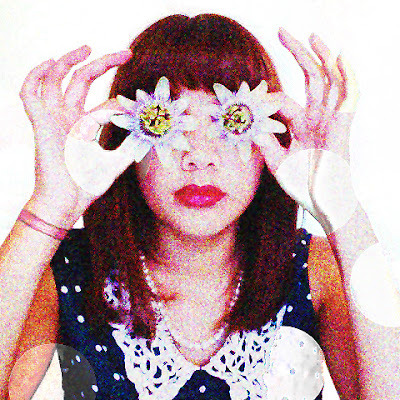 Ashley Bundang's solo project OBVIOUSLY was made for days like today. Somewhere in Melbourne, Australia, Ashley Bundang is making music with her casiotone. Most likely in a cozy bedroom that inspires hush harmonies, ambient soundscapes, and noisey pop. You might know Ashley as the frontwoman of Zone Out (formerly under the moniker White Australians) but she also has a side project, OBVIOUSLY, that is all her own. OBVIOUSLY takes Zone Out's indie introspection and multiplies its dreamy factor times ten. Here Ashley relies less heavily on lyrics, simulates organic noises with her instruments, and embraces a washed-out-spaced-out aura. With only three short songs on Mondayitis, Ashley offers a mere glimpse into an alternate personality – Zone Out's moody complicated twin that we can't help but swoon over. Urban Dictionary defines "mondayitis" as the "feeling of weariness, sadness, apathy, and general distress that many individuals feel when starting the Monday work week." And quite honestly, Mondayitis couldn't be a more fitting name for OBVIOUSLY's debut. "This Place" tip toes by in a slow fashion; ambient noises in the background grow louder and induce that very Monday feeling. By that I mean, it's best listened to when you're sleepy on the subway and not in the mood to do anything. Ashley's hazed out vocals might be hard to decipher in "This Place" but we can hear her clearly in "You're Repeating Yourself," the most attitude-heavy of the tracks. Still dreamy as ever, "you're repeating yourself / you're breaking my self / you don't even know" hits us with bold, soulful assertion. While last track "Vacant" is a return to the first track's distant curiosity. Entirely instrumental, this symphony evokes a lot of feelings and will swallow you whole. Not to mention, a nice way to end and definitely left us wanting more. Check out OBVIOUSLY on bandcamp.